Because it was a close race I will award prizes to the top 5 rather than just the top 3. It may take me a while to get pins together but the top 5 will each receive a prize. I wish I could send out prizes to all players but shipping is just crazy. Thanks again to all for playing my game, I hope you enjoyed it and maybe I will play another one in a few months - give you time to forget about all the work and only remember all the fun (hopefully). watzshakinbacon and CCofRR13 like this. Congrats to Joy/Timeerkat!! Great job and game well played! And thanks to tinawap for your generosity, both for all the time you put into hosting this as well as expanding the prizes to the top 5. Thank you!! Congrats, Tessa! And thank you so much to Tina for having us! It was a blast! Congrats, @timeerkat!! I totally woke up early just to see if you’d post and you did not disappoint haha so committed! Thank you @tinawap for another fantastic game!! It was fun and so intense!! Congrats to the runner ups as well! It was a pleasure to compete against such worthy opponents. @watzshakinbacon does #5 make sense now in the Morphed pictures? Oh wow! PHWEW! It was so close, I was afraid I was going to slip back at the very last minute, since for the life of me I wasn't able to figure out number 5 in the photo morph challenge. That frosted glass panel type of morph just messes with my brain! To all my very worthy opponents - congratulations on your accomplishments! You certainly kept me on my toes, and I really enjoyed seeing all of your creativity during the games! 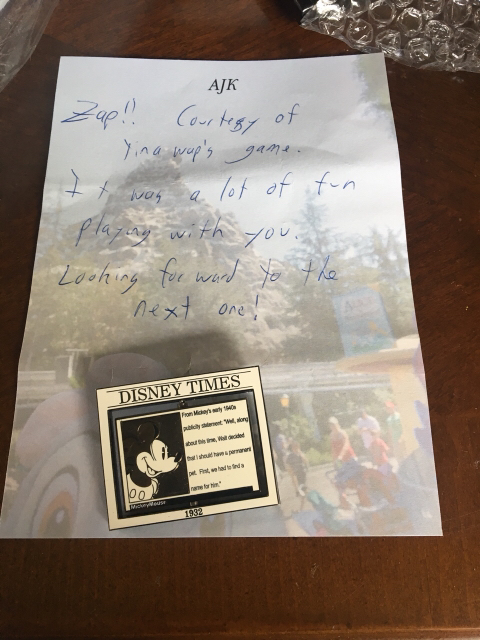 tina - thank you so much for running another awesome game! I had so much fun doing it (especially the outdoor scavenger hunts)! Thank you very much for the time and energy you put in running it, and your generosity with expanding the prize pool. Feel free to save mine until we meet up in May. I can wait, and it will save you one person's shipping costs, at least. As long as your okay waiting, I will hold it for you till May then. *nods* I spent an hour going through people's wants on pinpics, but I couldn't figure out some people's handles and by that time it was almost 4 am and so I just put in something vaguely the same color scheme so I could submit and go to bed. I never considered that! Thanks, I'll have to try it. Thank you for such a fun game!!! It was my first ever, and I had a blast. I can't imagine how much time you must need to devote to preparing the games and then calculating all the points. Awesome job! Ajk and timeerkat like this. I got zapped!!! Thank you so much, Aaron! CCofRR13, Ajk, coblj003 and 1 other person like this. I didn't notice them when I came home from work last night, but this morning there were two packages on my table, one from @Ajk and one from @timeerkat rkat! 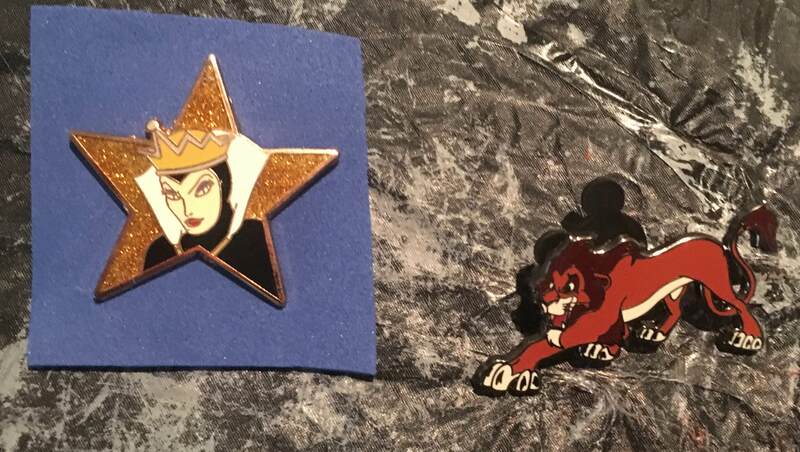 Aaron sent the very sparkly, shiny Evil Queen and Tessa sent the Scar, which is the last pin I needed in the Heroes vs Villains Mystery Set! I thought I had him for ages but recently realized it wasn't the same pin. But now I have it! Thank you guys so much! CCofRR13, pretty Omi, Ajk and 1 other person like this. I hope so! The Route 66 was on your wants! Just received another zap from the zap challenge. Thank you @Ajk!! Such a cute pin... it’s part of a set that I haven’t really been actively collecting but just keeping an eye out for. Thank you!! I also had a great time playing you with, my worthy opponent!! CCofRR13 and coblj003 like this. I know, I was just so surprised to see those teeth-gritting icons! ...Last fall, my sister and I took a road trip from California to Georgia, and followed Route 66 as much as was practical for us until we had to leave it in Oklahoma. I came across a picture of the Route 66 pin sometime after that, and wanted it the moment I saw it! So it really means a lot to me! I really need to get these zaps out in the mail.